The Hollings Polygon is a conferencing facility within the narthex at the Oxford Univerisity Catholic Chaplaincy. To improve the acoustics and soundproofing of the room a double glazed gallery window was designed and installed. 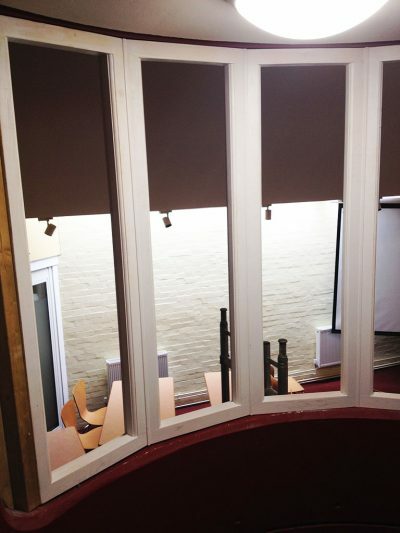 Designed to fit around a curved gallery staircase, the area was measured up and plans drawn up for the design of the window. 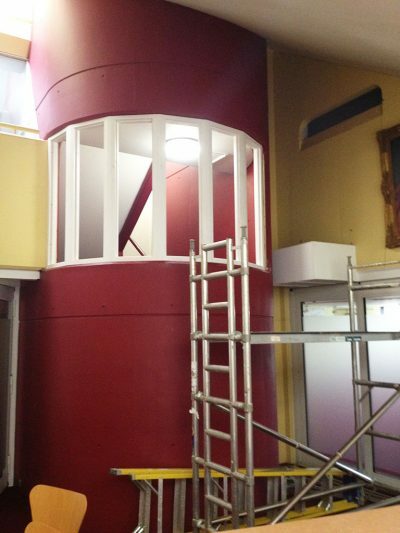 The frame was then constructed, installed and glazed. Sealed and painted.